People who live and work in Palm Bay, The Lakes of Waterstone, Port Malabar, Bayside Lakes, Parkside West and surrounding communities have been part of the Orthodontic Specialists of Florida family for years. We offer extensive care for you and your family, Orthodontic Specialists of Florida is the place for you. 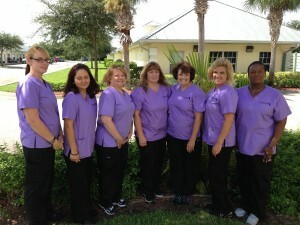 Our practice has a convenient location at 2099 Palm Bay Road NE, Ste. 2, and Dr. Justin R. Chisari is excited about helping families achieve beautiful smiles. In addition to a beautiful smile, the ultimate objective of orthodontics is to protect your gums or teeth. Misaligned or crooked teeth allow bacteria and food particles to hide in your mouth while spaces or gaps between your teeth do not provide your gums with as much protection from bacteria and plaque. Orthodontics can help you chew food more thoroughly and speak more clearly as well. What Kinds of Braces Are Available? Braces can improve overall oral hygiene, which combats tooth decay. Crooked or misaligned teeth make it harder to chew food and eat. Orthodontic treatment can give you a better smile over the long term and may increase your self-confidence. At Orthodontic Specialists of Florida in Palm Bay, Florida, Dr. Chisari welcomes you and your family. After growing up in South Florida, he obtained a doctorate degree in Medical Dentistry and a specialty certificate for Orthodontics from the University of Florida. He enjoys giving back to the community by offering top orthodontic care for people of all ages. What Will You Experience at Our Family-Friendly Office? Upon entering our Palm Bay facility, our friendly team of dental professionals will do everything possible to make you and your family comfortable. We’ll do what we can to provide a relaxing atmosphere and pleasurable experience at every stage of your visit. We always welcome new patients at our office. We invite you to visit or call us to set up your free consultation, even if you are already a patient or are not looking for a new orthodontist in the area. If you feel unsure about whether you need orthodontic treatment, please ask us for a complimentary second opinion. We are thrilled to build a long-term relationship with you and your family. Our staff also looks forward to providing top-notch orthodontic care and helping with all of your orthodontic needs. Call us or visit our Palm Bay practice to meet with Dr. Chisari today!